Mumbai: Under scanner for, what the media claimed, inspiring terrorists across the globe, popular Islamic preacher Dr. Zakir Naik on Friday applauded the foreign policy of Prime Minister Narendra Modi, especially his visits to the Muslim countries. Talking to The Economic Times from Jeddah, Saudi Arabia, Zakir Naik also said that Modi's policy towards the Muslim countries will bring Hindus and Muslims closer and will help bridge the gap between the two communities. "Modi is the only prime minister of India who has visited so many Muslim countries in just two years. This will strengthen relations between India and other Muslim countries. It will strengthen relationship of Hindus and Muslims too", Naik said. "If his intention is to maintain unity between Hindus and Muslims, and between India and other Muslim countries, I am totally for him. Muslim countries too are reciprocating his gesture. When he came to Saudi Arabia, King Salman gave him the highest civilian award", he added. "Hinduism is a major religion of the world and India has a high Muslim population. So if the PM reaches out to Muslim countries, it is good. It will help bring investments to India. If all these countries get together, India would become a superpower. India was a superpower in the past and will attain that stature again", he said. In reply to another question regarding the ban imposed by the Bangladesh government on his Peace TV, Zakir Naik said, "Bangladesh was the first country to ban it. As far as India is concerned, Peace TV had applied for permission in 2005, 2010 and 2012, but previous government refused citing security reasons." "I am hopeful that the present government will give the nod. There are so many Hindu and Christian channels in India, but not a single mainstream Islamic channel", he added. 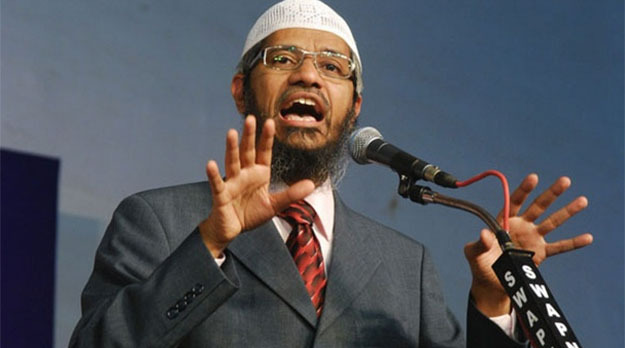 On the allegations that he is converting Hindus to Islam, Zakir Naik said the Indian constitution has given him the right to preach his religion and never forced or lured anyone to become Muslim. "I have never forced anybody to embrace Islam. Thousands of people have embraced Islam after hearing my speeches but God has given them guidance. If someone wants to come in the religion of peace, I cannot stop him", he said. "Under Article 25 of the Indian Constitution, one has the right to practice and propagate one's religion. I am very happy and proud to be an Indian and an Indian Muslim", he added. In reply to another question, Naik said, "I will return when ever the government or the agencies want me." Dr. Zakir Naik is in the eye of a storm ever since The Daily Star, Bangladesh's leading newspaper, in its report said two of the terrorists involved in the Dhaka Cafe attack were inspired by Dr. Zakir Naik. 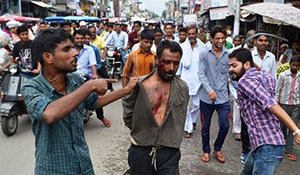 Interestingly, The Daily Star later published a clarification saying it never reported any such thing, but the Indian media, especially few tv channels infamous for their anti-Muslim agenda, ran a consistent media trial against the Islamic preacher leveling unfounded allegations against him.